Education is important in the development of a child. Mathematics especially helps the student to critically think and work out steps to solve real life word problems. To truly understand mathematics, you can't just memorize formulas or equations. My name is Jimmy Garza, and I have more than 10 years in tutoring experience. I can tutor in any math subject K-12 and even in Chemistry. I have worked with home-schooled students on some of these subjects. Being a younger tutor, I can relate to the younger students better. I can also teach piano to students, and I work for 2 music companies as well. I have graduated from University of St. Thomas in Houston with a B.A. in Music, (with a minor in Philosophy) and I also participated in the Pre-Medical Program at the university. I have done many piano recitals at the college and long before that as well. I currently have about 20 piano students, and I always am looking for more! I organize piano recitals for them twice a year at College of the Mainland (once in the summer and once in the winter) so that they may show off what they have learned. Each student has their own unique way of being tutored, and I make sure to adjust to their tutoring needs. I will go by whatever their school curriculum is. Though I remind my students that their work needs to get done, I try my best to make the tutoring sessions as stress-free as possible. I try to make sure that my students have learned and retained the information that I give them. A few number of students have stuck with me for more than one school year because they and their parents are pleased with what I have done for them. I certainly hope that any students I get will benefit greatly from me. I hope to hear from you soon! 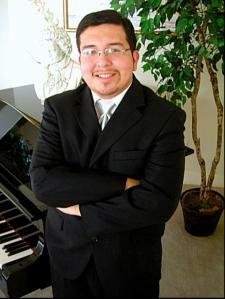 I specialize in Classical Music, including the three eras of Baroque, Classical, and Romantic. I always allow my more advanced students to "feel" out the piece, so that they may truly enjoy what they are playing. I teach a bit of sight-reading at early stages of learning the piano, so that my students may have a better understanding of not only playing the music fairly well on the first try, but also that they can understand the notes and the relationship between them (intervals, etc.). I emphasize lots of practice. We also review the theory of music so that they may not lose what they have learned. For the more advance students, I emphasize on technique more (how they play with their hands, their posture, etc.). Jimmy is very nice. My son really likes him and does not mind doing the math. No complaining which is great! Very professional and good with kids.